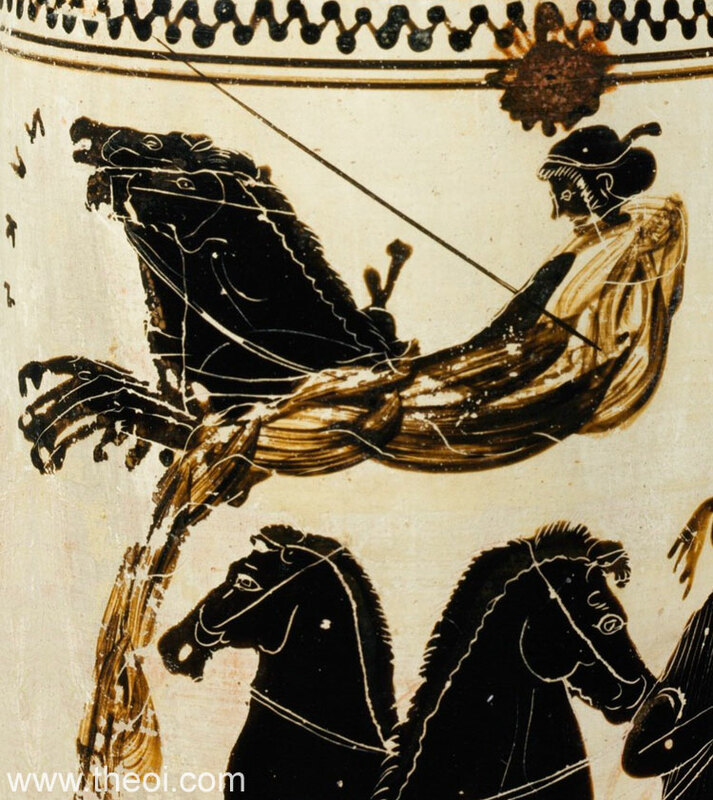 Nyx, goddess of the night, drives a four-horse chariot across the sky--only two horse heads are visible but the numerous forelegs indicate a team of four. She is crowned with an orb of darkness and trails a veil of nocturnal mists (erebos). The figure is labelled NUKS on the vase. Opposite her is the nearly identical form of Heos (Eos-Hemera), the goddess of dawn and day (see other image), trailing a veil of light (aither).